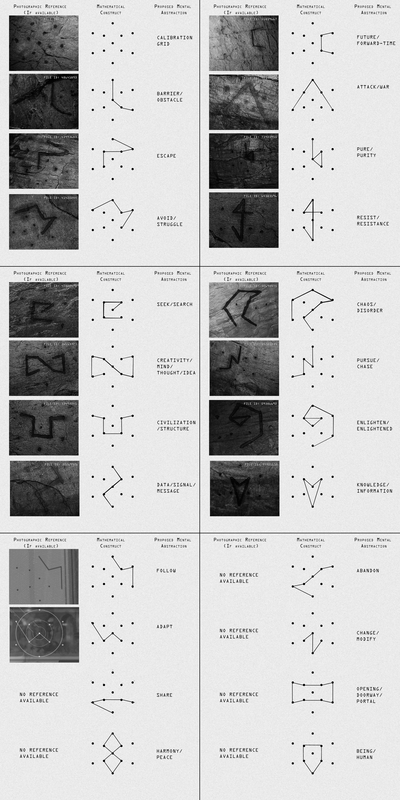 The glyph dot representations are from Daniel Beaudoin. You can see his work in the Glyphtionary (based on this post and this. A portable version for agents can be found here done by James Marshall. This was the first glyph found to ever be reported as one. Later another Ingress report would have another glyph message. Enoch Dalby - redemption video made available on the 22nd of November but the translation was only possible in the 25th. Help us, lead us, improve us, liberate us.